For the past six months I've been attempting to cook healthier including using freshly ground wheat flour when possible. Many of my typical recipes have flopped, but I found a new one that not only worked, but also became an instant favorite. 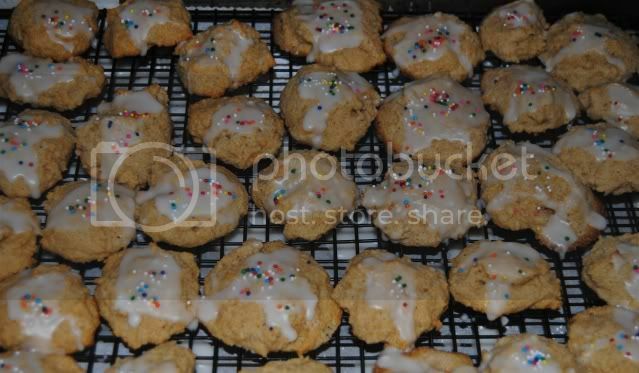 As I was unsure how my family would enjoy these cookies, and it made such a large batch, I changed it up after baking half of them. In my Google search I had also read about lemon ricotta cookies. I added lemon juice, lemon peel, and powdered lemon juice along with enough additional flour to make the dough less sticky. 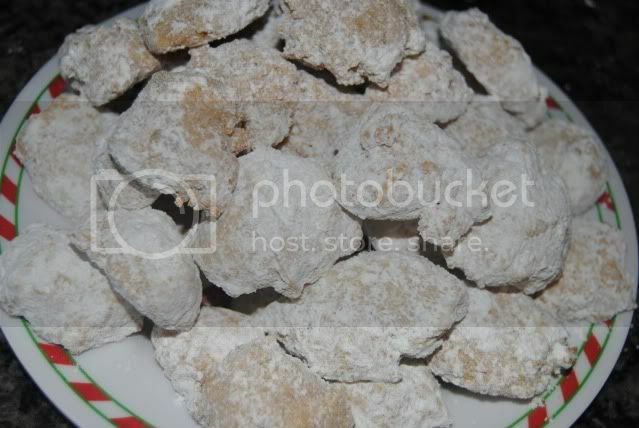 I coated these with a mixture of powdered sugar and lemon juice powder. While this falls under the category of successful and delicious recipes, I don't think there is any chance of classifying it as healthy. Sausage balls were a flop the last time I attempted them, with cheese soup as a main ingredient. These from For Such a Time as This were a success and quite yummy!